This is a view of Trevaunance Cove I absolutely love, its been a few years that I have done a painting of this view but the Autumn colours can be great during Autumn so it was a matter of waiting for the right weather conditions & capturing the ferns in all there Autumn glory. The Ferns take a good couple of months to go from summer green to the golden colour so it took many visits waiting for the right moment but this particular morning the sun flooded the valley & illuminated the cove and foreground ferns, it’s always a relief after so many visits to finally capture the reference I hoped for. 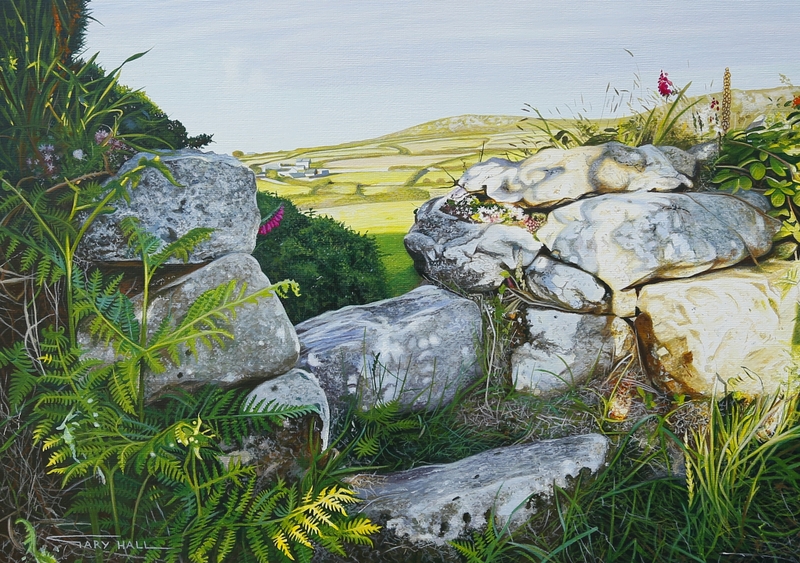 The painting took many many hours of work due to the amount of detail, especially in the foreground, I have painted Ferns many times but this one was particularly challenging due to the size of the Ferns and changes in light, shade & various tones of colour. The original size of the image is 350mm x 350mm and will be framed using an Ash frame, the frame will measure approximately 530mm x 530mm including the moulding. It will be framed using a deep fillet mount along with Conservation grade Glacier white mountboard for the top mount. The glass used for this original is special Tru-View Ultra view non-reflective high clarity glass. This special glass features over 97% light transmission and reduces reflections to just 1%, it has proved very popular with customers for originals & prints where requested, it also provides 70% UV protection which is well above standard glass & along with professional grade high pigment load ‘Liquitex’ & ‘Golden’ Acrylic, which conforms to ASTM lightfast standards & provides ample levels of protection. 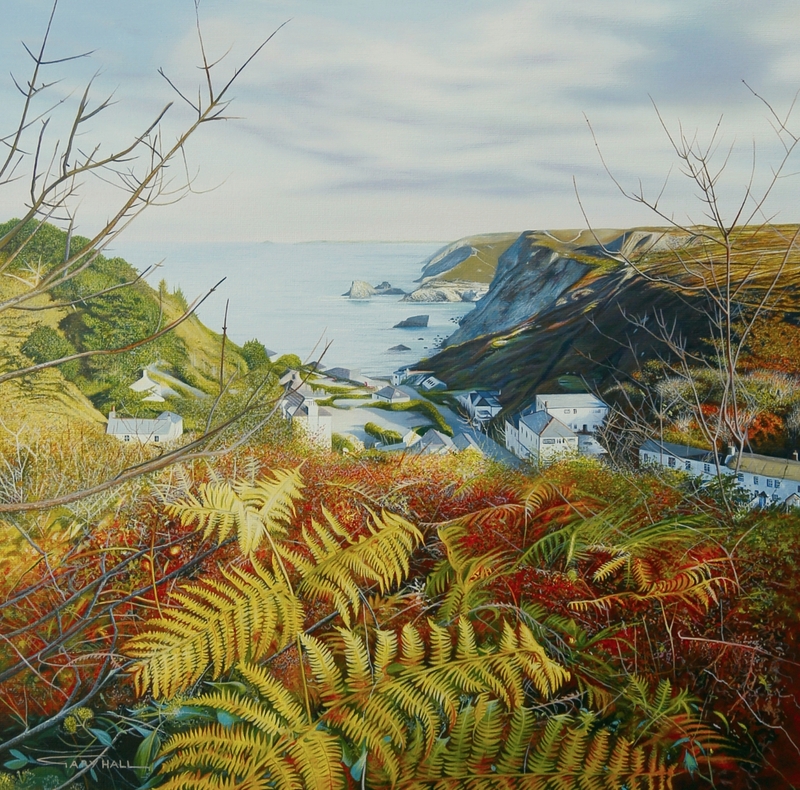 Be the first to review “Autumn Gold, Trevaunance Cove” Click here to cancel reply.